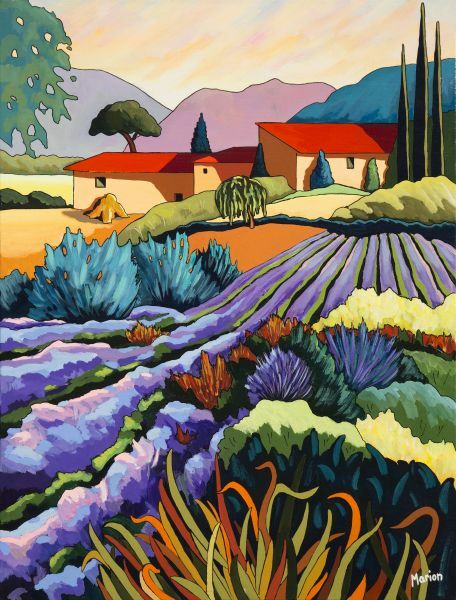 Giclee print of my painting entitled: GARDENS OF PROVENCE that I had the great honor to exhibit at the Louvres Museum in Paris in 2010 and for which a Special Price was given to me by the SNBA (Association of Fine Arts of Paris ) Giclées are signed and numbered from 1 to 100. They are limited edition and each is accompanied by its certificate of authenticity. Their size is 18 x 24 inches (45 x 60 cm). They are sold unframed and provided with a wire to the back for hanging. This giclée is proposed to you for the sum of 195 $ cad. This amount includes sales taxes and delivery in North America. Payments in advance will be made via Paypal, easy and safe to pay with credit cards. 100% guarantee. Europe: 195 euros and allow 4 to 6 weeks by boat for delivery by Canada Post.